After a week immersed in the loss of heritage in this beautiful city of Ningbo, a visit to the Historic museum was a ray of hope and the way forward for Asian cities with their rich material heritage. 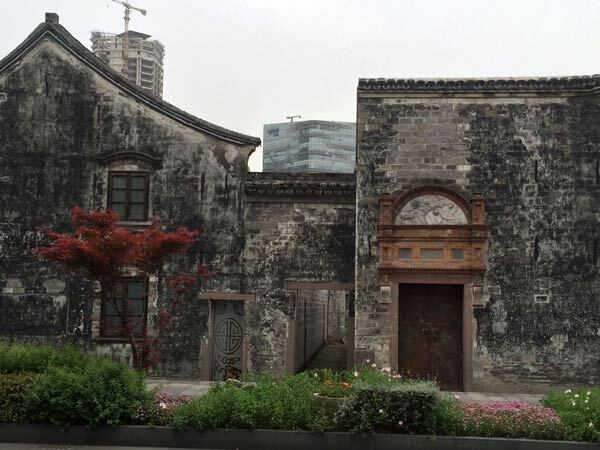 We were working on the Xinmalu Historic District, in a 8 million peopled coastal city south of Shanghai. Here was a marvel that cradled the connection of the land and marine silk routes. But alas, like most cities running the development marathon, few traces from its past remain to tell its story. The contradiction of new material and formal paving design in a heritage area contrasts with the organic and artistic use of historic material in a new building. Reconstituted material that imitates granite is being used in the older areas as well as in contemporary developments across the urban landscape eroding the ambience and heritage value of the area. 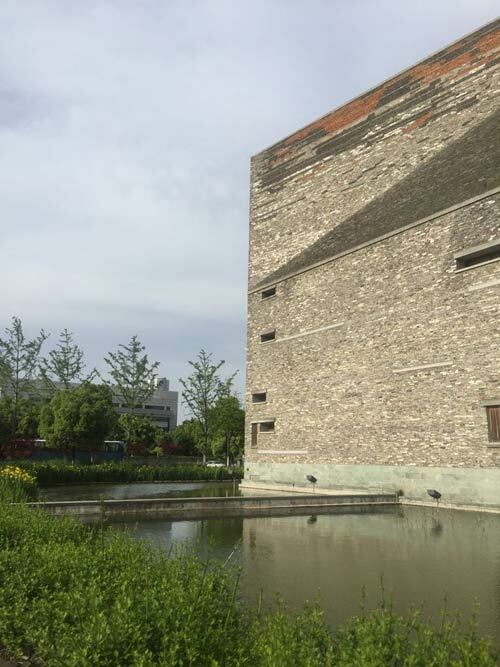 Coexisting with this is a new and inspiring approach adopted by the museum in Ningbo built a decade earlier. Showcasing a philosophy of use, rather reuse of old, natural material in the reimagination of Nigbo’s past, this space is where design meets imagination and history is offered a looking glass, reflecting a hopeful future for urban design. Can the city learn from, internalise this approach for the design, redesign of its landscapes, especially in historic areas, somewhat similar to the genre of Demetris Pikionis’s philosophy for the Acropolis landscape. With the Grand Canal in its vicinity, the centre city area of Xinmalu, in Ningbo is famed for the first concrete road and Railway line in the city in the vicinity of rows of Shikumen houses. Many of these houses were recently lost and hence this was an endeavour to save what remained. 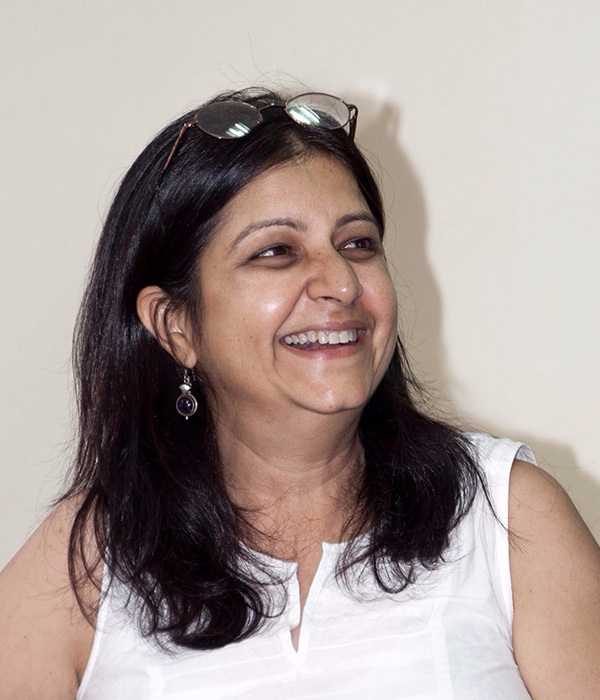 And here begins my story…. In the historic district we came across slabs of granite stone used for pathways, kerbs and employed in many ways to enhance the landscape. With my experience using Sadarhalli and Sira slabs in Bangalore, I unsuspectingly thought these to be real but on closer inspection realised that these were factory made alternate material. On one hand this is a commendable move to save the environment and minimise quarrying but their use in the historic district as well as the contemporary spaces, malls, pathways, riverside etc. lends a homogeneity to the spaces in the city. The formal and easy to execute layout patterns across the urban landscape is probably adding to the problem as the historic district may require an approach, a philosophy that has been employed a few kilometres farther in the same city. In this understanding and readjusting the use of materials in the historic narrative of the present we encountered a rather enigmatic building. One that attracted attention in the context and time that it was built nearly a decade ago. 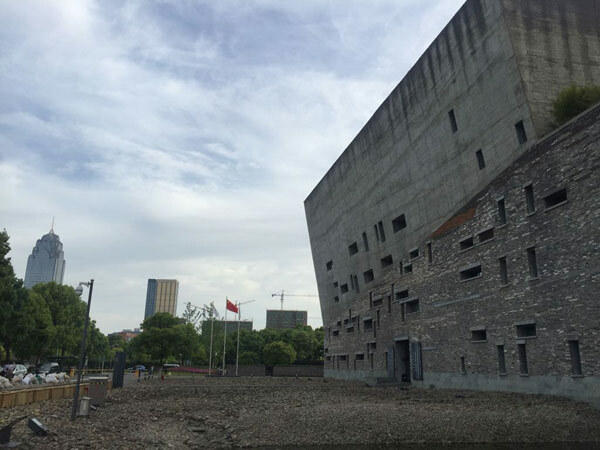 A mammoth structure in concrete, the museum at Ningbo is an expression which evokes a wide spectrum of emotions in the designer, visitor, citizen. The choice of reusing historic bricks and clay tiles created a texture of interspersed randomly yet artistically laid out material in the facade creating a unique narrative, weaving the story of Ningbo as a heritage city with the historic displays within the museum. Each member of our team came away a different impression. My colleague Jonas poetically expressed how each brick told the story of the hand that made it, the hand that laid it. This mammoth structure in my mind added another layer to the city, celebrating the many hands and many lives reflected in each brick and tile, continuing the story of heritage in the imperfectness of each perfect module of material. 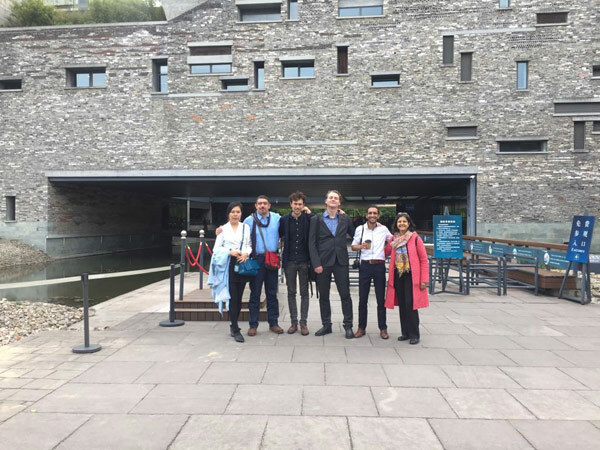 We had visited the Shikumen houses in Ningbo and the reality of their possible, partial, probably imminent loss was on our minds. The museum to Yassine, another UPAT colleague, in a world of destruction of heritage, was a bold statement. I saw this adding the next layer of heritage to an ancient city that is already well spread out both horizontally and vertically with little essence of it uniqueness remaining in the tall, very vertical and in my eyes homogenous materials across the terrain. This mammoth of a museum in the landscape of vertical towers garnered attention just by its sheer volume but also in its somber gravity, matt greyness against a skyline of glass and gloss. It was indeed a befitting end to a week of discussions on the lost space of Xinmalu, heritage that asks to be revitalised, partly reinvented, partly reinjected and partly reimagined. 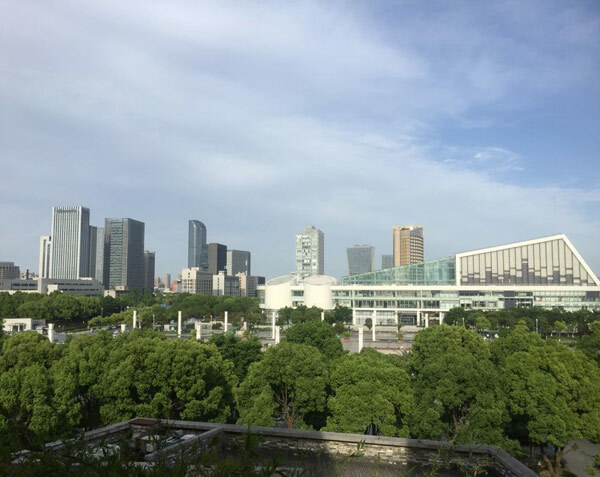 What was especially encouraging was the united stand of the city, its politicians, its planners and its people to change the course of the city to recognise the value of heritage and ecology in its future. 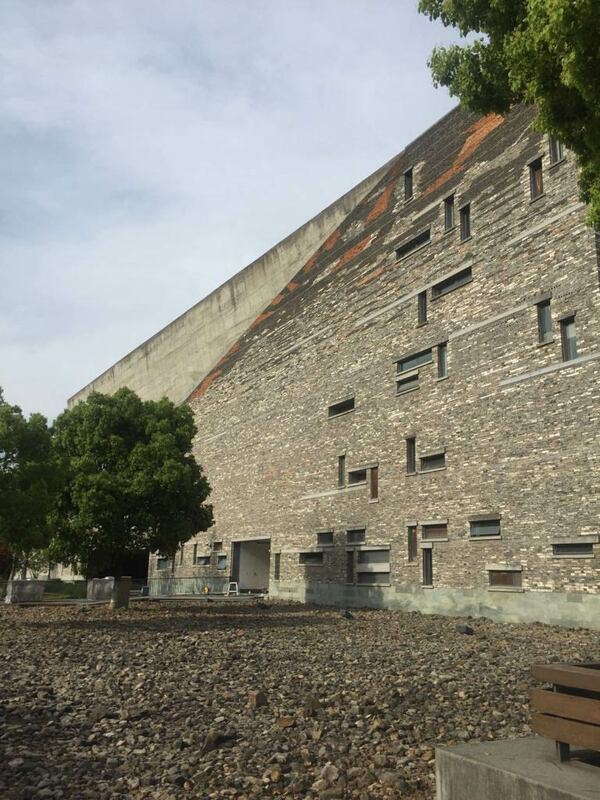 *Architect Wang Shu’s Ningbo historic museum, 2008. *The views of my colleagues are my personal interpretation.